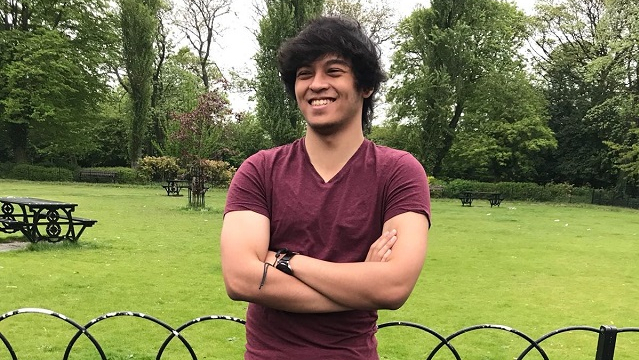 Before I came to St George’s, University of London, I was a bit anxious about how my stay in London would be and how I would get on with meeting new people – if I would be able to make friends or not – but as soon as I got here all of these worries went out of the window. I fit in here really well and to be honest I would like to stay here for the rest of my life. The specific courses that I am doing at Newcastle and St George’s have a lot of correlation with each other which I thought would be ideal for my development and it has proven to be so. I picked St George’s because Frontiers in Human Health would help me understand better a lot of concepts that I have learnt at university. The location of St George’s is very good because it has a different feel from central London, it is more vintage. It has parks and nice restaurants as well, and I have enjoyed my time here. I am staying at St George’s university accommodation: Horton Halls. It is a really nice place to stay. The rooms are very spacious and cosy. It is a good place to meet other people from the same course, as most of us are staying here. It allows us to socialise and plan our evenings together, and it makes us feel more at home in a way. I have really enjoyed the course but another thing that I have really liked is interacting with people from different backgrounds. I think we’ve got a person from almost every continent studying on this course, different ages, different backgrounds. It has been a very enlightening experience, hearing stories from different parts of the world, from Africa, Europe and Asia. I have become quite close to several of my course mates and I have learnt a lot about their countries and their cultures.